It's that time of the year when I transition from sandals to ballet flats and boots....scarves and sweaters. I'm fortunate to be able to wear neat-casual clothing to work, which makes me quite happy! No stuffy suits for me....I'm more of a leggings and boots kind of a gal, for sure. Here are some looks I'm drooling over this fall - pinterest is full of ideas, isn't it? What on earth did we do before the internet? I can't even remember! I'm a big fan of a simple chambray shirt over leggings, with a pair of boots and a scarf. Yes, please - casual, comfy, and still fashionable. Love it! An asymmetrical hemline is huge this season, and this one button top just screams cozy and chic to me. Love, love, love!! I have always been drawn to a sweater with unusual details or accents, and this one fits the bill. Just look at that super cute chunky lacing at the neck and sleeves, with the grommets - drooling! Same with this cute top - those buttons take it to a whole new level! I don't often wear plaid shirts, but I would definitely make an exception for this look. Casual, trendy, and comfortable. That's what I go for! Are you noticing a trend here? Yup, my 'go to' look is skinny bottoms with swingy tops, and boots. Perfect for fall in the mountains! Do you have a 'go to' look for fall? I wear a lot of scarves at this time of year, also - I could use a few 'fresh' ones for the season! Enjoy your weekend, sweet Susie! It's downright COLD here today, it's a two sweater day!! Stay warm, my friend! Oh I do love my leggings , oversized sweaters and boots. I like scarves too but its never cold enough here to enjoy them and my neck is short so I feel like im choking. Haha. My favorite though is my plaid blanket scarf. I basically wore it all different ways and snuggled in it on a given cold day. I don't have a blanket scarf yet, Lisa, but I'm thinking it's time! Where can I find the blue plaid shirt? It is very different from the styles I am seeing in the stores. Plus it has the button attachment to hold the rolled sleeves ☺️. Oh yes! 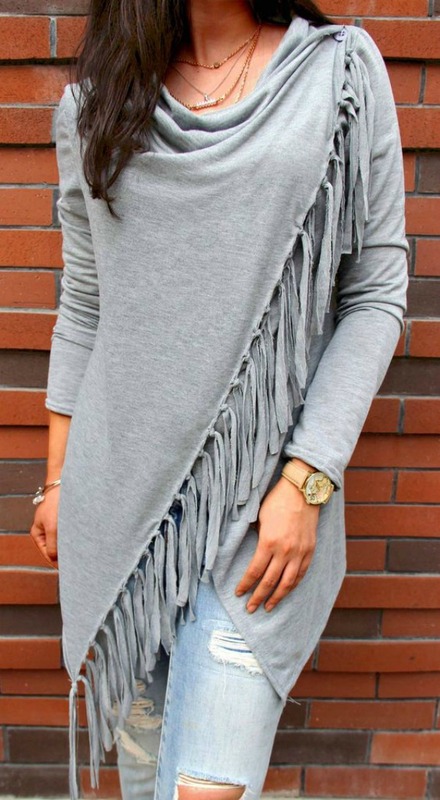 LOVE skinny jeans/leggings with long flowy tops and boots! That is my go to cool weather uniform and I am so excited for it! I am almost 60 and still wear these styles. My 30 year old daughter - who is my "consultant" will let me know if something isn't "age appropriate" LOL. I have never been a plaid shirt girl either, but this year I did get an oversized plaid flannel shirt at Old Navy and am loving it with skinny jeans! Yay Fall!! Ha ha - my daughters let me know if there's something I need to change, also!! Although, so far there haven't been too many times! Cute fall outfits! Love casual chic outfits and these all fit the bill. Love the look of blanket scarves but I just look top heavy. I'm afraid that may be the case with me, too, Donna! I can't wait! We're finally getting some temps in the 70's next week end. Yes, that's cool here! Put away the swimsuit and get a long sleeved shirt out at last! Same here, Valerie - I want to lose a few lbs before I even think about buying anything else!! It's so pretty, and what a great color, Deb! I wear uniforms to work, but I need to get out and find some cute tops like you've shown here for after hours. Love! I think there's probably something much simpler about wearing a uniform, Vickie, rather than having to think about what to wear every day! Ha ha, no doubt, Debbie!! We are two peas in a pod, for sure! My style is your style. Great picks! I am not a plaid girl either, but I recently found a pretty green shirt at Marshall's for $9.99 and I thought, why not. I wore it this weekend and received a lot of compliments. I guess never say never, huh? I love your style! I'm over 50 now and my body shape has changed drastically over the past 2 years. I blame menopause and my mother...genetics you know. ;) I like skinnier bottoms and flowing comfy tops too. I don't like things that fit tightly. I frequently layer my clothing and add a fun scarf or a sweater that covers the mid second of my body and hides the extra weight gain. Boots and easy slip on leather clogs or shoes are my go to for footwear. I love scarves, the older I get - they just feel like they add the right 'pop' to an outfit!! I love all of those looks, too...and dress like that, too...pure comfort! Remember when we used to have to lie down on the bed to zip our jeans??? :) Ha ha those days are LONG gone for me! Please let me know where to find The jeans with the lines on them. l have been searching everywhere and can’t fine them anywhere ! At last, my style mother ship has landed.. I too am 50 something, a former Fitness Instructor whose body has seen better days but alas, styles I love, love, love. So comfy and classy.. Thanks so much for all the fall styles I will be sporting forever!! I always love these simple fall styles, they are just so cozy and easy to wear!! Do you know where the tan booties are from in the last image?